As we have noted in previous features, a commonly cited factor that stands in the way of the success of many African startups is the lack of access to venture funding. Thankfully, VC4Africa, a web based platform that helps connect African entrepreneurs with investors aims to help solve this problem. Founded in 2008, the platform currently has members in about 250 countries around the world and organizes meetups for entrepreneurs through its local chapters across Africa, Europe and North America. TNW Africa recently caught up with the organization’s Founder, Ben White. 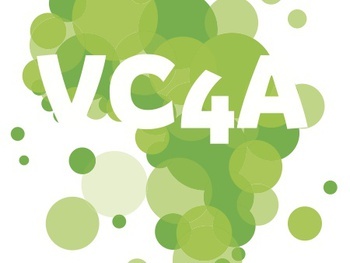 TNW Africa: What is VC4Africa? Ben White: VC4Africa is the largest and fastest growing social network for investors and entrepreneurs dedicated to building sustainable businesses in Africa. Our business is connecting people and ideas. We are the only open and accessible platform dedicated to the subject and our members come from more than 250 countries. TNW Africa: Why did you start VC4Africa? Ben White: Microcredit is too small. It is great for buying a goat, but then what? What comes after? What happens when you need an office space and need to hire employees? What happens when you need to grow and scale your business or when you need investors who understand the business and can help you work through really tough decisions? On the other end of the spectrum, you have the banks and larger financial institutions but they are looking for big deals with as secure of a return as possible. For entrepreneurs starting out, often times with minimal track-record or little in the way of assets, it is a feat just to get a meeting… let alone having to swallow the exorbitant interest rates and unfair terms if the meeting actually goes well. TNW Africa: Why in your opinion hasn’t this space tackled effectively? Ben White: It is hard. One of the biggest challenges for investors is finding good entrepreneurs with solid ideas who actually have the ability, infrastructure and network to implement. At the same time, there are many entrepreneurs ready to take the next step but need help in their business plan preparation. They also need guidance and support needed to navigate the investment process. It is in these spaces that I continue to see a need for a true peer-to-peer network. VC4Africa is a community of like-minded entrepreneurs and investors that share the same mission of building great companies in Africa. It is these businesses that will provide the continent with the jobs and taxes it needs to develop. As a community we also believe it is okay to lend a helping hand and support each other along the way. After all, we share the same goals and all want to see Africa prosper as it should. TNW Africa: How do you think the African VC space has evolved since you first started the site? Ben White: When I started, there was the African Venture Capital Association (AVCA) that consisted of about 300 organizations actively investing in the African space. Many were/still are serious players managing considerable funds. Really VC funds looking for multi-million dollar deals. The real shift has been in the rise of smaller scale investors and the emergence of the angels (foreign, via diaspora and local). In the past two to three years we have witnessed the emergence of a whole new breed of investors willing to issue funding from as low as 5K to as much as 2 million. At VC4Africa, we hope to play our part in supporting the further development of this space. TNW Africa: How in your opinion is VC4Africa different from other platforms out there with similar goals? Ben White: Many platforms similar to VC4Africa try to get in between the investor and the entrepreneur. They make such an effort to connect people they feel they should be part of the deal. VC4Africa doesn’t take this approach. If our mission is to connect people why would we want to slow down that process by getting in the way? We trust our members to connect with the individuals they need to do business with. We seek to support them in this process but we don’t want to get involved. It’s not our job to do so and we keep our focus instead on building a healthy and nurturing environment for our members. Our offline meetups work the same way. No agendas, no speakers, no entrance fees, just members connection and sharing ideas. That is what really works. It is always the bar room chat after the conference that has the most meaning. TNW Africa: How has the network’s growth been over the years? Ben White: This year we not only saw the re-branding of VC4Africa but also the launch of our new matchmaking platform VC4Africa.biz. On VC4Africa.biz we currently have 124 ventures listed from 30 African countries. We facilitate about 364 active forum discussions, promote some 157 events focused on doing business in Africa, manage 38 online incubators and have generated 886 community blog postings. We have hosted self-organized VC4Africa meetups in Kampala, Nairobi, Kigali, Johannesburg, Lagos, Abuja, Douala, Buea, Tunis, San Francisco, Atlanta, New York, Washington DC, Los Angeles, London, Stockholm, Amsterdam, Paris and Leuven. We have meetups in the works for Paris, Brussels, Lagos and Dakar. We seek to help spark a larger movement, a general shift that recognizes entrepreneurship as a key driver for the continent’s development moving forward, and invite everyone to join us. We just keep building step by step. TNW Africa: Can you give examples of African ventures on the sites that have been able to get funding via the platform? Ben White: Ventures have secured funding and established strategic partnerships needed to grow and scale their business. Brian from Next2.Us has found a distributor for his mobile services in Kenya or Rick from MarketFleas secured an investment needed to launch his business just three days after registering his plan on the website. There are others we can’t talk about and several entrepreneurs have kept us posted on new deals in the works. A challenge for us is to find ways we can share these success stories as sometimes investors like to keep under the radar. TNW Africa: What are some of your favorite ventures listed on the site? The Uganda Medicinal Plants Growers , a venture posted by Teddy Ruge. UMPG is a commercial farming initiative based in Masindi and is designed to assist farmers commercialize their medicinal crops internationally. This is important work considering Uganda’s economy is agriculture based, with agriculture employing over 80% of the population and generating 90% of its export earnings. In Kenya we support the social venture Recycling plastics and Empowering Youth. Kenya has a great need for low-cost housing and productive waste management. This recycling company will operate in the interest of the local community employing collectors using bicycle with trailers to bring various grades of plastics to processing units for ecologically-sensitive, efficient sorting, granulating and molding (under low heat) into panels to be used for cheap housing. Not only is this an innovative approach that addresses a growing need, they are clearly taking the steps to implement the program in a way that makes it socially sustainable and thereby economically viable. A Nigerian based venture I like is eHealth. This project supports the management of health facilities in Nigeria to influence health-related funding and policy decisions, and provides doctors with the patient information needed to improve decision-making before, during, and after care. This is not only a support service needed in Nigeria but I can imagine that there are needs for their products in other African countries too. But given the fact that there are at least 85 listed hospitals in Nigeria there is plenty of work needed to get the company up and running. A fun and promising venture in Cameroon is Hot Ice. Hot Ice is a fashion company that specializes in supplying affordable African-styled fashion accessories for trendy suburban women. Hot Ice really looks to differentiate its brand and seeks to build a fashion culture that local consumers can identify with. Finally Bongo Live, CamVista, SawaMarket, Agro-Hub, GeoFeed and Hizonotes offer a nice sample of the web and mobile related projects we have in our network. Our aim is to make these projects visible and to connect then with the community, knowledge, network and resources they need to achieve their goals. Their success is our bottom line. TNW Africa: What sort of factors do you think if put in place will encourage more VCs to seek out African entrepreneurs and ventures? Ben White: We are looking to profile success stories. There are many successful and promising entrepreneurs making big steps. We need to profile them and work together to make them more visible. They are critical in helping everyone appreciate and understand what is already possible in an otherwise fast changing and often improving market situation. We could talk about all of the things we need or would like to have for weeks, but there are many who simply make it happen with what they have today. A nice example is Dorking Dairies Expansion project in Zimbabwe. Over the past fifteen years they have developed a milk processing business which at one stage produced fresh milk, cultured milk (Kumusha brand), cream, yoghurt and fruit juices. The business had grown to the scale of 300000 litres per month produced and sold. Fresh milk being supplied by local farmers. With the combined problems in Zimbabwe of the governments land policy and the destruction of the Zimbabwe Dollar, their small business was totally wiped out. However, since the new government came to power they have slowly started rebuilding, however, with no working capital (the governments land policy removed our collateral) it is extremely difficult. TNW Africa: What in your opinion are some of the major challenges that African entrepreneurs and startup owners currently face? Ben White: Lack of proper business management and planning. Getting good ideas into the market remains a key challenge. Finding the reliable partners is key. Also the customers who are willing to pay for high quality services on time. Of course the lack of proper infrastructure and legislation doesn’t help. There are many. TNW Africa: Where do you see the African VC space in the next 5 years? Ben White: We have momentum now. Things really could not be more exciting. I just got back from a trip to Cameroon where we hosted VC4Africa meetups in Buea and Douala. I was blown away by our local member base and the level of entrepreneurial activity (see the photo). There are some really promising projects on the brink of making major progress. What is really great is this idea that its not only in Buea or Douala, but this is an entrepreneurial spirit found all across the continent. We’re sitting on a tidal wave of activity and I wouldn’t dare guess where some of these guys will be 5 years from today. The space will be very different and most likely we will have a growing network of successful entrepreneurs leading an entirely new wave of investment. I can’t answer this question. We have too many outstanding entrepreneurs to name just one. I think Dorking Dairies Expansion in Zimbabwe is a remarkable project that shows an unwavering determination to build an important and valuable business in an otherwise difficult context. I think MozamBikes and Instinct are great examples of ventures tackling social issues with viable business models. Hot Ice remains one of my personal favorites because her work is just beautiful and totally inspired. I could see her work in a Paris boutique or in a high-end store in Jo’Burg. Hot Ice doesn’t need a lot of money and I think it shows that smaller scale ideas need attention too. In terms of technology related projects there are a number of really great ventures and entrepreneurs online. I would encourage everyone to just sift through the venture profiles till they find something they like. Become a fan, leave a message and start a conversation. Who knows, we might all be doing business in Africa one day soon. TNW Africa: Thanks for joining us Ben! It has been really great hearing about VC4Africa’s work in the African venture capital space. Ben White: Thanks for recognizing our project and giving us a chance to profile our entrepreneurs and work. Its really great and we are serious TNW readers and fans.